The press loved our first version of the Air 100 and we’ve just made it even better, with Spotify Connect, improved sound and all the features you loved from our first one including Apple Airplay, Bluetooth and Internet Radio. All your music, however you want to play it, will always sound amazing. The Air 100 design team have over 45 years’ experience in audio innovation and sound so its design benefits from all this expertise. The rigid exterior is essential for a portable product, but inside an acoustically damped cabinet eliminates vibration and distortion. We’ve also taken technologies that we use on our most advanced speakers and incorporated them into the Air 100. We use BMR drivers which are found on our £1000 flagship Aeromax 6 floor standers, and there’s a bass port within the carry handle which helps produce heart thumping bass, just like on traditional loudspeakers. We’ve worked tirelessly to get a huge sound from this compact speaker; the Air 100 delivers deep, rich, powerful sound into your lounge, kitchen or bedroom effortlessly. The latest digital amplifier and signal processing technologies combined with our patented BMR® drivers create bass, clarity and volume like no other comparable wireless system. While regular speakers move in a pistonic motion (in and out) to create sound, the unique BMR drivers we use move both pistonically and horizontally to disperse sound more widely. For more info on BMR drivers you can read up on them here but basically they mean there’s no specific sweet spot in your room. Your music will just sound great wherever you are. There’s a lot of power in the Air 100 though so we’ve included a bass level control on the back of the speaker (and on the remote), so you can get it just right for your preferences. 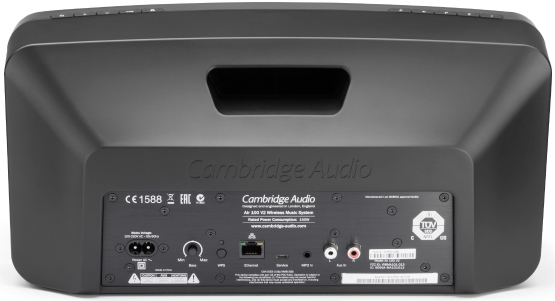 AirPlay– compatible with iPhone, iPad and iTunes. 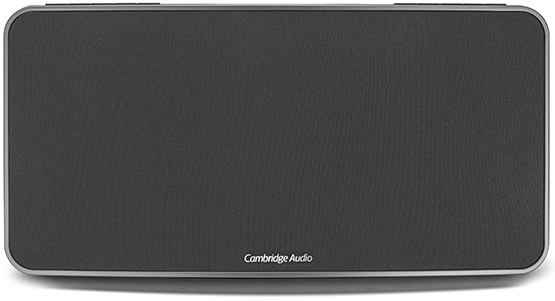 AptX Bluetooth – 10 metre range for effortless streaming and AptX for even more detail and depth, up to CD quality. Use Spotify Connect with the Spotify app remote control. Spotify is built-in so you can still take calls or use other apps on your phone and the music never stops. Listen to popular services including Last.fm, Youtube or BBC iPlayer Radio. Just connect by Bluetooth or Airplay. Access to over 20,000 internet radio stations is also made possible from our free Air App where you can set 5 presets on the Air 100’s buttons so you can access your favourites without the need for your phone or tablet. AirPlay compatibilityAirPlay works with iPhone, iPad, and iPod touch with iOS 4.3.3 or later, Mac with OS X Mountain Lion, and Mac and PC with iTunes 10.2.2 or later.